I had the opportunity to go for a walk at the reservation today. The sun was out. The snow is melting. 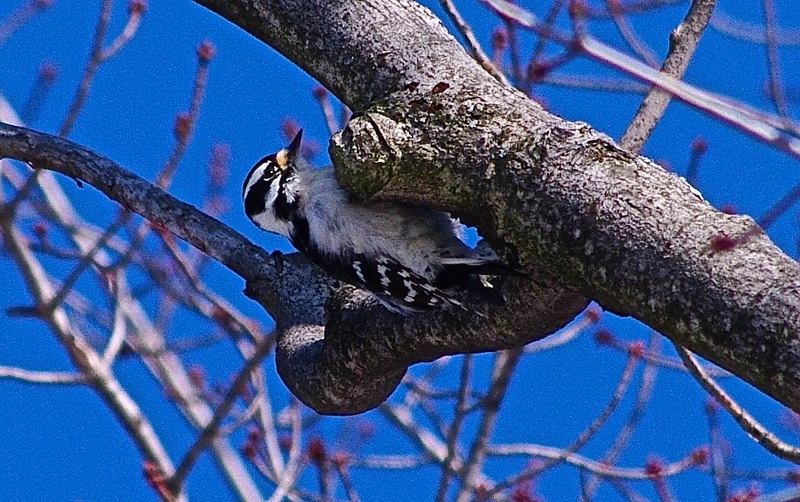 And the cacophony of birds chirping and pecking, including this Downy Woodpecker, was music to my ears! Soon comes Spring!